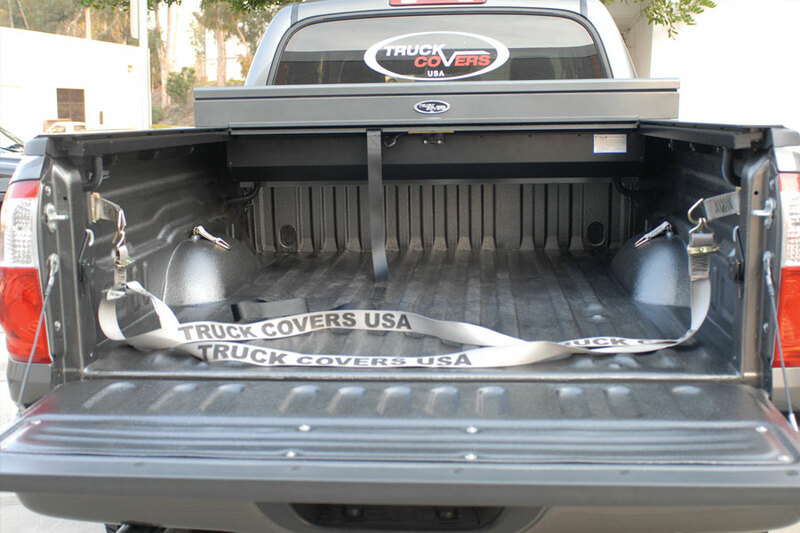 Truck Covers USA | AMERICAN SNAP-LOC! You are here: Home / AMERICAN SNAP-LOC! The most versatile cargo control and restraint system ever made. Whatever your application, this is the best system for you. 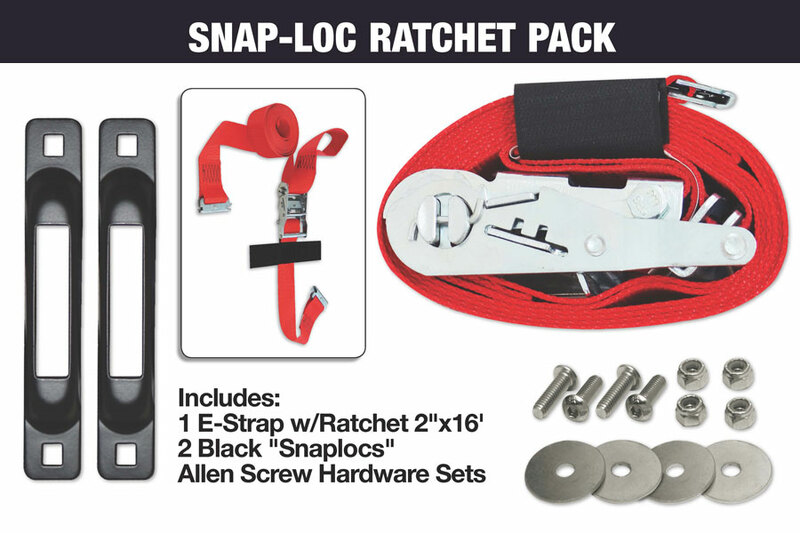 Whether you’re tying down a motorcycle, ATV, boxes, furniture, lumber, equipment, ladders and more – American Snap-Loc products are the next generation of quality anchor points and strap systems that will change the way you secure cargo forever! 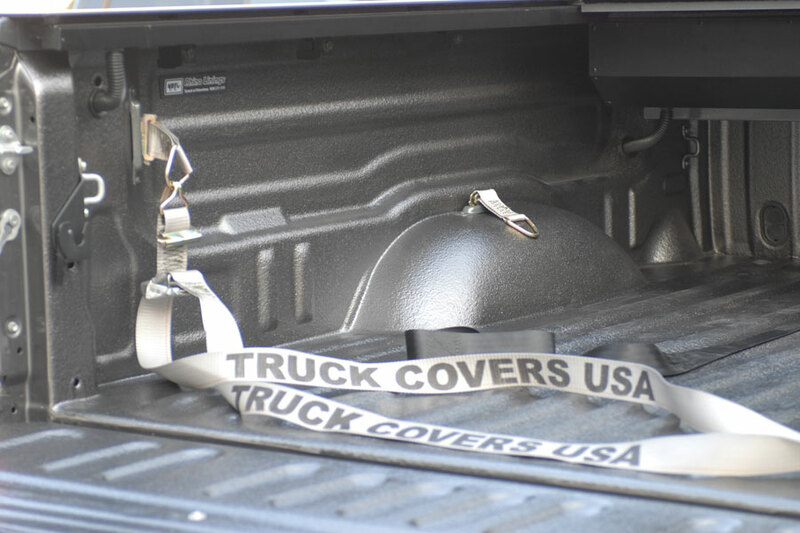 An International New Product Award Winner at SEMA 2006 – Truck Covers USA’s American Snap-Loc products are a complete system to meet every cargo management need. The only cargo management system of its kind on the market. Unique Loc-Down system allows you to install anchor points where desired. 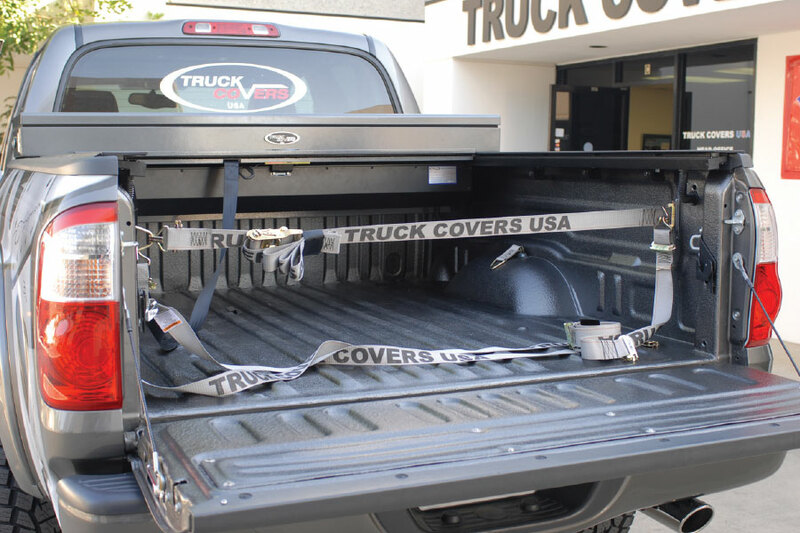 16’ Ratchet Strap is standard with E-track fitting for securing your cargo. D-rings are available for additional versatility. 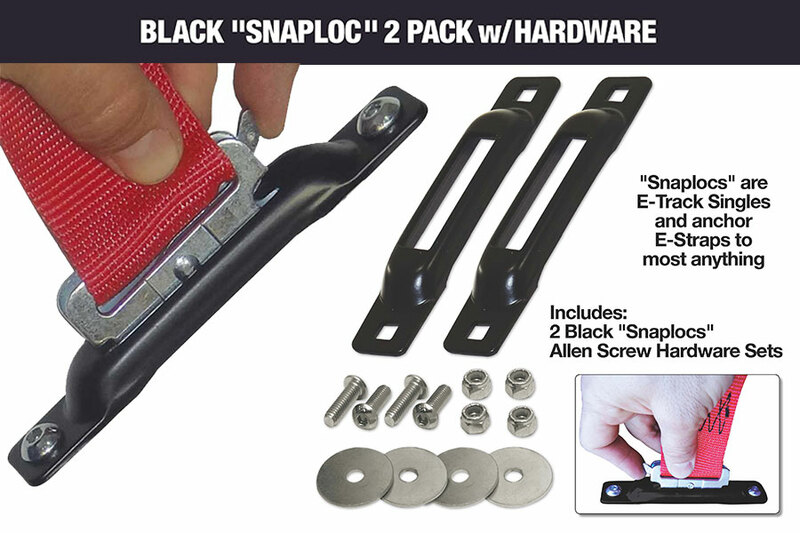 American Snap-Loc products will never come loose accidentally – they are a positive locking system for any cargo. Industrial strength rated – having the highest strength rating for a cargo control system. 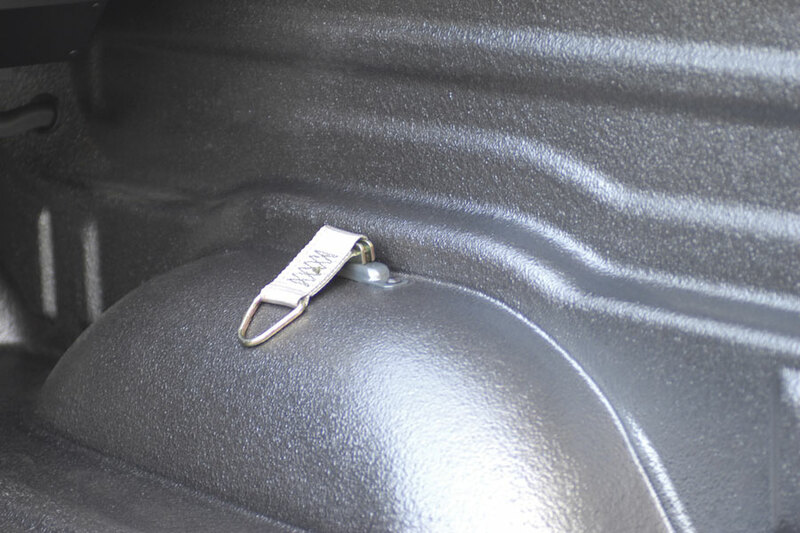 Loc-Links are also available for connecting E-track fittings such as 2 straps or straps and D-rings.